Africa: In December 2018, the Equality & Justice Alliance, a consortium of which SFC is a founding partner, brought together women’s rights and LGBT activists from Botswana, Namibia, Mauritius and South Africa to a Regional Capacity Building Workshop in Johannesburg. We invited participants to share their views on how to use the law as a tool for social change, the importance of reforming laws that discriminate and fail to provide equal protection for all citizens, and how civil society can best engage in legislative reform processes at a national and regional level. 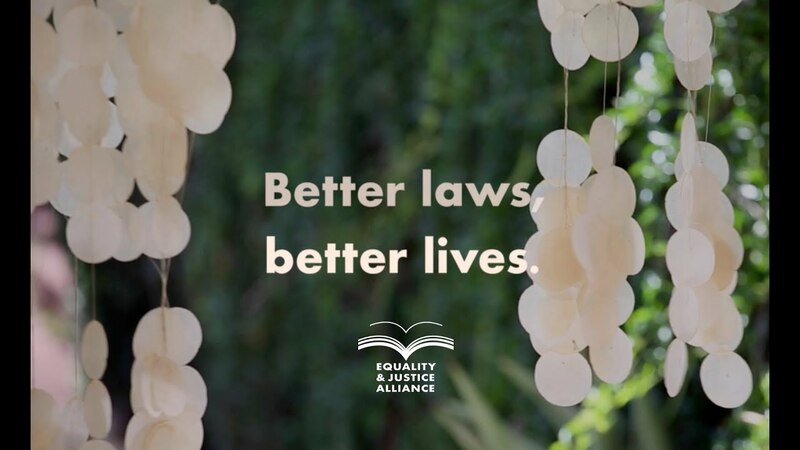 “Better Laws, Better Lives” is a short video presenting their responses to these questions – a kind of video testimony of their experience working in the area of legal reform and advocacy. It reveals the activists’ views on the importance of equality before the law, and how reforming discriminatory laws can result in real change in the lives of women and girls and LGBT people in Africa. The activists and civil society leaders also share their strategies in engaging with legislative reform processes – from performing the role of watchdog to hold Governments to account, to being a partner with Government and providing them with evidence and lived experiences of those the law fails to protect, to working as a kind of ‘pirate’ who intervenes to catalyse change when Governments need an external push to move forward. Finally, the activists look to the future and reveal what they think are the biggest challenges for civil society engaging in legal reform initiatives and the kind of support that they need – from the public, their peers and external networks and organisations.